Merger and acquisition activity in Asia’s energy sector will accelerate this year as crude oil prices stabilize and major Western oil producers seek to divest assets in the region, analysts say. rom colorful resort wear to simple Muslim wedding dresses, the use of traditional woven fabric and local embroidery art is celebrated as fashion designers join the ASEAN Fashion Designers Showcase (AFDS) to show off the rich diversity of style in the region. The growing popularity of online shopping presents a huge opportunity for merchants. However, ecommerce poses certain challenges. Vigilantes and cops are killing for thrill. Communist and Islamist rebels kidnap at will. Life is cheapened, as thousands of murders stay unsolved and half-a-million firearms loose. The three paradoxes of digital economy require creativity to build an integrated online-offline experience, develop content that has substance with style, as well as machine-to-machine technology supported by the human-to-human touch. Logistics company JWD InfoLogistics says it has adopted a business plan to increase revenues from its recent investments in Asean markets, such as in warehouses in Laos, Myanmar and Cambodia. On the back of growing regional trade, Kasikornbank, Thailand’s fourth-largest lender by assets, has expanded its local currency settlement services to cover all currencies of members of the Association of Southeast Asia Nations and its three largest neighbors — Japan, China and South Korea. The European Union and the Association of Southeast Asian Nations, celebrating their 40th anniversary of bilateral relations, are unveiling two new cooperative programs this year to help promote the sustainable use of peatlands and enhance biodiversity conservation efforts throughout the Asean region. GitHub, the global service that provides Git-based online source code repositories accessible by multiple developers, announced its regional presence for ASEAN and ANZ, co-incident with the global launch of a software-as-a-service version of its enterprise product. Cambodia’s Senate on Tuesday voted to approve the controversial Political Parties Law giving Prime Minister Hun Sen’s government vast new powers over political parties as the nation heads into elections this year and in 2018. The government needs to urgently amend its industrial development policy to spur the inclusive growth of small- and medium-size enterprises (SMEs) and develop a national logistics platform to cut onerous shipping costs if Cambodia is to find a place in global value chains, panellists at a macroeconomic conference said yesterday. Bred Banque Populaire – part of the second-largest banking group in France – officially launched operations in Cambodia yesterday after a ribbon-cutting ceremony at its headquarters, marking the first venture of a European bank in the Kingdom since the late 1990s. Products from neighboring Thailand are still considered the best for many Cambodian consumers, and this is an incentive for Thai companies to set up branches in the country – taking advantage of the positive investment climate prevailing in the kingdom. SVI (AEC), a subsidiary of Thai-listed electronics manufacturing services company SVI Plc, held a groundbreaking ceremony yesterday for the construction of its new factory in the Phnom Penh SEZ. A luxury condominium project in Sihanoukville that will operate on a timeshare basis – a first in Cambodia – is set to begin construction this month in time for completion in 2018. It is high time that Cambodia moved up in the global value chain by embracing high technology in its manufacturing processes in an era of increasing digitization and interconnection of products and business models, said Prime Minister Hun Sen.
People displaced from the Boeung Kak neighborhood of Phnom Penh more than a decade ago are still seeking redress from the World Bank, which they claim failed to implement a settlement in the case. Ruling party council candidates who lose the vote at the forthcoming local elections in June will receive a state salary as assistants to the winners. The government has approved the transfer of two more refugees to Cambodia from the Pacific island of Nauru, where they are being held by Australia after failing to reach its shores by sea, an Interior Ministry official said on Thursday. From the moment political analyst Kem Ley was murdered in cold blood while drinking his morning coffee inside a Star Mart convenience store in July, calls have rung out from his friends, family and legion of fans for the CCTV footage of the shooting to be made public. A report released this week by property and asset valuation company, VTrust Appraisal, focused specifically on the state of Phnom Penh’s borey market for 2016, revealing a mixed bag of results in terms of how the industry was faring. Heavy Equipment Production in Indonesia to Grow 14% in 2017? Production of heavy equipment in Indonesia is targeted to grow 14 percent to 4,200 units in 2017, compared to 3,678 produced units in the preceding year. This growth should come on the back of rising activity in the nation’s mining sector, particularly Indonesia’s coal mining sector, in line with rising commodity prices. In December 2016 the house of representatives passed the draft Law on Construction Services (Draft Law). The Draft Law will replace Law number 18 of 1999 on Construction Services (Law 1999). The Draft Law will basically update all guidelines regarding the organization of construction services. An official has said the Indonesian government has enough funding to buy shares in copper and gold miner PT Freeport Indonesia as it has started to prepare a holding company to manage the mining site in Papua. President Joko “Jokowi” Widodo met with representatives of the United Nations International Children’s Emergency Fund, commonly known as Unicef, on Monday (27/02) following his return from Australia. Indonesians are by turns shocked and bemused by Donald Trump’s volatile presidency, but many in the world’s most populous Muslim nation say his personality and actions — including his controversial travel ban — haven’t changed their positive view of the United States. A prosecutor sought a one-year jail sentence Thursday for a former Reuters war correspondent who is on trial in Indonesia on charges of possessing hashish. Indonesia’s benchmark Jakarta Composite Index (IHSG) surged 1.06 percent to 5,421.54 points shortly before closing on Thursday (02/03) as most Asian stock indices were in the green zone, lifted by the performance of Wall Street overnight. Indonesian stocks were actually the best performing stocks across Asia today. To explain why Indonesian stocks performed so well today, we need to look first at US stocks’ performance overnight. It is all related to Trump’s latest speech. Zhexin IT Co’s Indonesian unit, DNC Capital, has invested an undisclosed amount in local e-sports media RevivaLTV (Revival) following an investment into game developer studio Toge Productions earlier this month. Saudi Arabia’s King Salman called on Thursday (March 2) for a united fight against terrorism in a speech to Indonesia’s parliament during a landmark state visit to the world’s most populous Muslim-majority country. President Joko Widodo (Jokowi) has entrusted Saudi King Salman bin Abdul Aziz Al-Saud with protecting the rights of Indonesians currently living in Saudi Arabia. Indonesia will host two major international events next year that must be managed properly, according to President Joko Widodo (Jokowi). PP Peralatan Konstruksi will be the first state-controlled construction company that will float its shares at the Indonesia Stock Exchange this year, as part of the company’s effort to raise a total of Rp 7.9 trillion ($591 million) in fresh capital for its planned expansion, a senior executive said on Wednesday (01/03). The city administration of Depok, West Java, has vowed to build 1,000 kiosks for micro enterprises in the city starting this year until 2021. It has so far conducted a location study and issued a regulation on the construction project. A rally planned to be held in front of the Saudi Embassy on Jl. HR Rasuna Said in South Jakarta on Thursday was broken up after the police cornered the protesters on nearby Jl. Karet Raya beside the embassy, saying they had violated procedures. Twenty-five-year-old Siti Aisyah, one of two women suspected of killing North Korean maverick Kim Jong-nam, was charged with murder on Wednesday by a Malaysian court, but the Indonesian government has reiterated its commitment to continue providing legal assistance and protection until she is proven guilty of the crime, raising questions about Siti’s possible involvement in a clandestine assassination plot. The Australian Defence Force has disciplined officers involved in the tense defence brawl with Indo­nesia over West Papua. Freeport-McMoRan’s international production remains in limbo as talks with Indonesia broke down last week. Indonesian prosecutors on Thursday (Mar 2) sought a nine-year jail term for a suspected people smuggling kingpin accused of organising an illegal migrant boat journey, in a case that sparked a diplomatic row with Australia. Germany’s leading organizers of trade fairs, Messe München, invited Indonesian beverage and liquid food producers to join their quadrennial exhibition called Drinktec in September this year. The Indonesia stock market has alternated between positive and negative finishes through the last four trading days since the end of the three-day winning streak in which it had gathered almost 45 points or 0.9 percent. The Jakarta Composite Index now rests just below the 5,410-point plateau, although the market may find renewed selling pressure again on Friday. Toyo Engineering Korea Limited, Korean subsidiary of Toyo Engineering group, has been awarded the Front End Engineering Design (FEED) Contract for a new polyethylene project of PT Chandra Asri Petrochemical Tbk (CAP). The auctioning off of the first 14 luxury cars returned by Lao leaders concluded at the National Convention Center on Tuesday. Though this is the first of many auctions that will occur, the first batch of cars withdrawn from government officials has raked in an unprecedented 11.6 billion kip. Pediatric specialists will need to work harder to develop health workers’ capacity in order to reduce the child mortality rate, Minister of Health Assoc. Prof. Dr Bounkong Syhavong has said. Lao Ambassador to France Mr Yong Chanthalangsy affirmed that he will work to further foster the relations and cooperation between Laos and France when presenting his credentials to the President of France, François Hollande, on February 23. The Japanese Government has provided grant assistance worth US$122,962 for three health projects through its Grant-in-Aid Scheme for Grassroots Human Security Projects (GGPs). The Department of Education and Sports of Saravan Province, in collaboration with the Village Focus International (VFI), have reviewed the implementation work of the Village Education in Southern Laos (VESL) project. Finnish consultant Poyry has won an engineering contract for the 650MW Nam Theun 1 hydro project in Laos. Lao Skyway launched last Friday two new flights: Xieng Khuang – Vientiane Capital and Xieng Khuang – Luang Prabang in response to the growing number of tourists and customers. especially those aged 45 and older, on Saturday, Mar 4 between 10.00 and 15.00 hours. Bounnhang Vorachith, in reply to his congratulations on Laos National Day. Champasak’s Wat Phou World Heritage Office will submit a recently discovered Hindu-era stupa to the provincial governor’s office for approval as a new tourist attraction. A Chinese company is keen to develop a tourism complex on a disused airfield in the town of Vangvieng, believing it will attract even more visitors to the already popular tourist hotspot. Workers have been pouring concrete to resurface the Ban Hom Road in Hadxaifong district, Vientiane, with the long-awaited upgrade scheduled for completion by the end of the year. Notorious Lao drug lord Xaysana Keophimpha will remain subject to Thai law and the Lao government is unlikely to ask for his extradition, a government official has confirmed. Minister of Foreign Affairs Saleumxay Kommasith on Mar 2 received a courtesy call from outgoing Chief Representative of the Japan International Cooperation Agency (JICA) Laos Office Yusuke Murakami as he has completed his two year tenure in Laos. Following the popular success of the previous occasions in 2015 and 2016, Pôle francophone is happy to launch the third Vientiane Francophone Rally on Mar 3, 2017. Issues around the organisational structure, role and obligations of the Front at all levels, and related regulations, will be the focus of discussion and consideration by the Lao Front for National Construction (LFNC)’s Committee at its upcoming plenary. Cambodia is waiting for a response from Laos in their dispute over the Strategic Belt Road along the border and has called for the release of a Cambodian armed force member who was detained in Laos. Malaysia does not foresee policy shifts by US President Donald Trump’s administration being able to push American investors back to the US, said International Trade and Industry Minister Datuk Seri Mustapa Mohamed today. MALAYSIA Airlines Bhd (MAS) ended 2016 flying more passengers and cutting its losses by half. Manchester United (Man Utd) has formed a global partnership with Malaysia-based Aladdin Group, which operates an e-marketplace focused on premium halal and syariah-compliant products and services. The North Korean suspect held over the killing of Kim Jong Nam, the estranged half-brother of the North’s leader, was released from a detention centre and driven away in a police convoy, a Reuters witness said. Malaysia’s foreign ministry said on Friday it strongly condemned the use of the toxic nerve agent VX, which authorities say was used to kill the estranged half-brother of North Korean leader Kim Jong Un at Kuala Lumpur International airport last month. Malaysia held up the investment growth momentum last year against a global backdrop fraught with risks and uncertainties. Bank Negara Malaysia left the Overnight Policy Rate unchanged at 3.00 per cent.The monetary policy committee, which met for the second time this year, warned of risks to global growth even though there is recovery in economic activities. BANK Negara’s recent measures and guidelines to deepen the domestic ringgit market, stabilise the ringgit while ensuring an orderly functioning of the foreign exchange market to facilitate trade, investment and financial transactions have drawn mixed reactions and responses from various quarters. Tenaga Nasional Bhd (TNB) inked on Thursday large-scale solar (LSS) photovoltaic power purchase agreements (PPAs) with two special-purpose companies (SPCs). A total of 20.7 per cent houses under the ‘1 Million Affordable Housing’ programme has been completed as of December 31 last year, said the Urban Well-being, Housing and Local Government Ministry (KPKT). Malaysia’s Foreign Ministry issued a statement saying it is concerned about the use of a toxic chemical listed as a banned weapon that was used to kill a North Korean at Kuala Lumpur’s airport on Feb 13. A North Korean envoy says a heart attack likely killed Kim Jong Nam, not VX nerve agent as a Malaysia autopsy showed. Malaysia will cancel visa-free entry for North Koreans entering the country from Monday, reported state news agency Bernama said on Thursday (March 3), as diplomatic ties between the two countries frayed further following the murder of Kim Jong-nam at the Kuala Lumpur airport. SapuraKencana Petroleum Bhd (SKPB) subsidiaries have been awarded contracts with a combined value of approximately US$97.4 million (RM433.6 million), the company announced yesterday. Chinese tourists were the second highest number of visitors to Myanmar last year. The United Nations rapporteur on human rights in Myanmar on Thursday (Mar 2) called for the creation of a Commission of Inquiry (COI), the UN’s highest-level probe, to investigate abuses in the country. Myanmar was again one of the fastest growing markets in Southeast Asia – and the world – in 2016. Domestic passenger numbers were up 15% in 2016 and have doubled since 2010, while international passenger numbers increased by 17% and have doubled since 2012. A proposal to name a bridge after national leader Bogyoke Aung San was opposed by two MPs at the Pyithu Hluttaw session on Tuesday. Myanmar’s government has proposed a 2017 defence budget of MMK2.91 trillion (USD2.14 billion), reports in the country have said. Workers at the Kan Kaung Chin Yadanar wood products factory in Mandalay Region staged a sit-in yesterday over what they described as unfair labour practices by the management. As Myanmar and Islamabad are engaged in advanced negotiations to license-build the JF-17 Thunder, there is growing opposition within Pakistan regarding this agreement. New Delhi (Sputnik) – The Indian Navy will set up meteorological facilities for the Myanmar Navy in its bid to counter Chinese influence in the Bay of Bengal. Until now, China had been the leading contributor to capacity building in the Myanmar Navy. The Ministry of Health and Sports has asked for more than Ks9 billion to build housing for more than 5,000 staff in 2017-18 fsy, according to the ministry. Himalaya Airlines now flies direct between Kathmandu and Yangon twice a week. The Three Millennium Development Goal Fund (3MDG) handed over 15 rural health centres in the Ayeyarwady Region to the Health and Sports Ministry on Monday in support of the government’s move to improve access to healthcare in hard-to-reach areas. The Thilawa Special Economic Zone (SEZ), involving more than US$ 1 billion investment, will be extended to Zone B and construction of infrastructures will be completed by mid-2018, SEZ Management Committee Chair U Set Aung told the media. angon plans to spend Ks 32 billion on the development of 12 townships on the outskirts of Yangon Municipal area, according to Phyo Min Thein, Yangon Region Chief Minister. Kachin State is trying to regain more than 480,000 acres of vacant and virgin land out of nearly 600,000 acres that was set aside for perennial crops, according to the Ministry of Agriculture, Livestock Breeding and Irrigation. Why does the KIA still use war elephants? Myanmar is the last place on earth where elephants are still used for warfare, and the Kachin Independence Army is the only group keeping this 4,000-year-old tradition alive. Human rights group Fortify Rights has called for the unconditional release of human rights activist Khaing Myo Htun by the Myanmar government, after the activist was denied bail for the second time on Monday by a Sittwe court. The United Nationalities Federal Council has backed away from a recent statement by some members in which they dismissed the nationwide ceasefire agreement, following talks with State Counsellor Daw Aung San Suu Kyi in Nay Pyi Taw. A mentally-challenged old man was left critically ill with face and body injuries after being attacked by Rakhine extremists in Rathedaung Township on Tuesday (Feb 28), sources have reported. The Chinese government handed over 450 digital transistor radios to the Presidential Communications Operations Office (PCOO) of Philippines on Monday. The Department of Trade and Industry reported a total of P14.5 billion worth of new Japanese investments coming to the Philippines. POLICE manufactured evidence to justify unlawful killings in a “war on drugs” that caused more than 7,000 deaths, the New York-based Human Rights Watch (HRW) claimed in a new report. With Congress one step closer to reviving capital punishment, the fight of a small group of congressmen against the bill reimposing the death penalty will definitely reach the Supreme Court. This year the Philippines expects the number of Chinese tourists to cross the 1 million mark, a 49% increase on the roughly 670,000 hosted in 2016, according to the Department of Tourism (DoT). If achieved, this will bring the country closer to the DoT’s full-year objective of 7 million arrivals, following a 2016 showing of just shy of 6 million. The Philippine government may soon give media accreditation to bloggers and other ‘social media publishers’. Many have welcomed the initiative as a positive “step towards citizen engagement” but others worry that the proposed guidelines on how bloggers can join government-sponsored events could undermine the independence of accredited ‘social media publishers’. The deaths allegedly caused by the administration’s anti-narcotics drive have done very little to solve the Philippines’ drug problem, an international human rights group said. Philippine Airlines (PAL) is set to start non-stop service between Manila and seven destinations in the Middle East later this month. AFTER a series of consultations with industry stakeholders, the long-awaited Philippine Coffee Industry Roadmap 2017-2022 will finally be signed on March 7 at the Malacañan Palace, an official of the Department of Trade and Industry (DTI) said on Thursday. 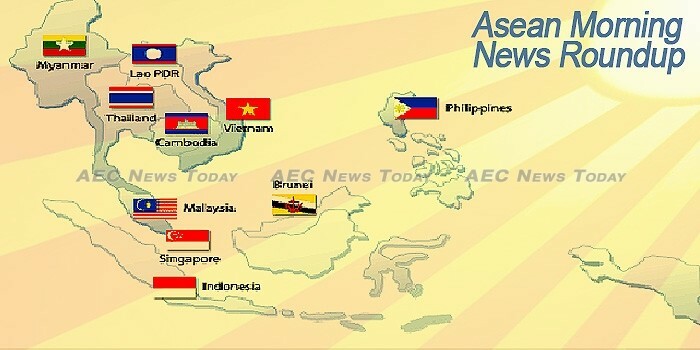 WITH firm fundamentals in place for sustainable growth, the Philippine economy could become a driving force for the Association of Southeast Asian Nation (Asean) to develop its full potential and promote lasting peace in the region, the Global Peace Foundation (GPF) said Wednesday. A human rights watchdog has accused police in the Philippines of falsifying evidence to justify unlawful killings in the government’s bloody war on drugs and pointed the finger at President Rodrigo Duterte as being ultimately responsible. Putting a stop to drug trafficking and other heinous crimes is more urgent than worrying about the country’s reputation before the international community, according to Senate President Aquilino Pimentel III. The Philippines in September will host an international conference on translation and translation studies to discuss best practices worldwide and potential collaboration in the region. CNN Philippines’ website reaped its first award on Thursday, as the “online news website of the year” at the 2017 UmalohokJuan Awards. Beyond this decade, Singapore’s fiscal situation would become more challenging as Government spending looks set to outstrip revenue in the longer term, Finance Minister Heng Swee Keat said at the end of a three-day Parliament debate on the Budget for 2017. SINGAPORE’S manufacturing sector continued expanding in February for the sixth consecutive month, albeit at a marginally slower rate. Singapore-based investors are among the most active Asian investors in Saudi Arabia and this level of interest is poised to grow even stronger, a top Saudi official said yesterday during a visit here. Casino operators around the world are eyeing an entry into the seemingly lucrative Japanese market, but one analyst said lawmakers in the world’s third largest economy may follow in Singapore’s footsteps to limit gambling among her citizens. More businesses are venturing to emerging markets such as sub-Saharan Africa and Latin America, which offer opportunities for those keen on tapping less familiar markets. By the middle of this year, transferring funds to a colleague or stallholder can be done on a mobile phone without having to enter their bank account number. The relationship between Singapore and China is in good working order, and while the two countries may have differences, both sides must recognise that they have far more common interests, said Minister for Foreign Affairs Vivian Balakrishnan. Ride-hailing platform Grab launched Grab Shuttle, a beta shuttle bus service mobile application to move larger groups of individual commuters from door to door. With the winds of change sweeping across the world and portending far-reaching implications, there is no step-by-step guide on how to venture into the volatile and unpredictable future, Finance Minister Heng Swee Keat cautioned as he wrapped up the three-day Budget debate yesterday. Singapore, in tapping artificial intelligence (AI) as part of its Smart Nation drive, will help policymakers put their finger on what makes its citizens tick, Google’s director of research Peter Norvig believes. What makes Singapore property attractive for foreign investors this year? Analysts are seeing continued resilience in terms of property investment in Singapore, highlighting several opportunities the country could leverage on. Only six people were arrested in 2014 for buying drugs and drug-related paraphernalia online, compared to 201 last year, said Minister for Home Affairs K Shanmugam in Parliament yesterday, shedding more light on the growing trend. The ActiveSG Football Academy, which is run by Sport Singapore, is killing industry and enterprise, and will destroy Singaporean livelihoods. A pilot scheme that aims to give caregivers a breather from their duties has been expanded, with the programme now available at more than 40 nursing homes, up from 15 in 2013. A study compiled by the global research and consultancy firm Oxford Business Group (OBG) charts Thailand’s successful transition from net aid recipient to donor, while exploring how its model for sustainable development could be adopted or adapted still further across the Global South. SCORES OF Thai students in the Programme for International Student Assessment (PISA) have not improved in 16 years, Education Minister Theerakiat Jareonsettasin said, calling it a failure of previous attempts to solve problems. Thailand’s Ministry of Tourism and Sports reports visits to Thailand exceeded 3.19 million, an improvement of 6.52% in January this year. A new stocks marketplace for trading in Thai startups is planned for opening later this year. The government of Thailand is taking a number of measures to shift the country from a production-based to a service-based economy, moving from producing commodities to innovative products, emphasising on promoting technology, creativity, and innovation in the industries under focus. The Commerce Ministry may endorse applications for patents already approved in other countries to speed up its approval process after being swarmed by a backlog of 36,000 requests. The government continues its effort to boost investment in its eastern economic corridor development project (EEC) with latest offering of tax incentives to upper level employees choosing to work there. Air fare regulator, the civil aviation committee, has agreed to revamp the air fare ceiling of low-cost airlines by introducing two-tiered fare ceiling based on the kinds of service – low-cost service and full service. AIMING TO become a regional settlement bank, Kasikornbank has introduced a funds-transfer service for all AEC+3 currencies at every branch, embracing fast-growing border trade denominated in local currencies. Prime Minister Prayut Chan-ocha on Wednesday formally launched a comprehensive programme to tackle underground debt problem. He also gave licenses to six companies to operate pico-finance to provide alternative lending service to low income-earners. Five leading manufacturers have reached an agreement with the government to make and supply 48 consumer items at low cost. The e27 database is a trove of information and we’d like to share what we find there with you. This week, we took a peek at our database and came up with this list of startups in Thailand that received at least US$1M in their most recent round beginning January 2016. A senior Justice Ministry official said the regime remains committed to enacting legislation against torture and enforced disappearance despite belief the bill died recently in a subcommittee. The media have been barred from the junta’s first regional session for political reconciliation in Chiang Mai. Participants were not even allowed to record the discussion. Up to 1,000 hospitals in Thailand are now showing a video clip to promote zero discrimination in healthcare settings. A survey of 1600 Thai healthcare workers showed that more than 60% of workers feared an HIV infection while performing routine tasks and 90% admitted to at least one stigmatizing attitude. As temperatures begin soaring in Thailand, pulses will also start racing among soft drinks buyers tantalised by the big name prizes on offer once again this season, including cars and opportunities to meet their favourite boy bands. The Ministry of Finance on Wednesday announced that the maximum level of Government guarantees for a programme or project has been reduced to 70 per cent from 80 per cent. China used to be the world’s factory. It overtook the United States in 2011 as the biggest producer of manufactured goods. Factories were an “engine” that raised Chinese living standards by doubling per capita GDP in the 10 years ending in 2013, according to a McKinsey & Co. report. Total mobilised capital of credit institutions in HCM City in the first two months of the year was estimated at VND1.78 quadrillion (US$78.03 billion), an increase of 0.31 per cent over the end of 2016 and up 13.18 per cent over the same period last year, according to the State Bank of Viet Nam’s HCM City branch. The municipal General Department of Customs on Wednesday officially began offering online services at Level 3 and Level 4 for 46 administrative procedures for people and businesses. A TPP without the US will cast a shadow over the potential tax cuts and, to a certain degree, affect Vietnam’s chance of boosting exports of leather and footwear products to the US which is currently one of Vietnam’s largest markets. The domestic auto industry will need several supporting measures including technical barriers to “create differences” between locally-made and imported cars, officials and industry insiders agree. Last week, an official from the Ho Chi Minh City Department of Health claimed the southern hub could have better medical facilities than Singapore by 2020. This is the firs time a hospital in Vietnam has used robot in brain and nerve operation contributing to boost the application of hi-tech in treatment. The uncertainties of the EU economy with the Italian PM stepping down and the UK & Northern Ireland leaving the EU will adversely affect Vietnam’s exports to the large markets. The Vietnam People’s Navy (VPN) has commissioned the last two of six Project 636 ‘Kilo’-class diesel-electric attack submarines (SSKs) ordered from Russia in 2009, the Ministry of National Defence (MND) in Hanoi announced in a press statement. Vietnam has 200 super-rich people, with fortunes valued at US$30 million or more, according to the Wealth Report 2017 by the UK’s leading independent real estate consultancy Knight Frank. Does Vietnam have 50 young self-made dollar millionaires? The Vietnamese representative for Facebook has made a shocking revelation that 50 young people, aged 19-20, have become self-made dollar millionaires. Vietnam on Thursday emphasised the legal support it was giving a Vietnamese woman charged in the bizarre murder of Kim Jong Nam in Malaysia after growing calls at home for more action to help her. More infants in Vietnam received complementary foods thanks to a widespread social franchising, marketing and branding campaign that targeted new mothers, providing ‘rigorous evidence’ that such strategies can help combat malnutrition. EXPORTS of wood and wood products are expected to reach $8 billion this year, up from $7.3 billion last year. With big real estate players such as Vingroup, Sungroup and FLC and the provincial authorities’ policy on investment in infrastructure, Quang Ninh has become a new magnet in the resort real estate market. The program offers up to 200 multiple-entry one-year work and study visas to citizens of both countries. Samsung is having a terrible week. First its de facto head Lee Jae-yong was indicted on Tuesday with multiple crimes in connection with the Choi Soon-sil scandal. He is accused of, among other things, embezzling company funds to bribe Choi, to get favorable treatment from the government.